P Johnson 2019 Collection — everAFTER magazine everAFTER magazine celebrates and inspires a couple’s journey from their engagement through to their wedding day and beyond including lifestyle and travel. Wedding venues, bridal, fashion and styling inspiration. everAFTER magazine celebrates and inspires a couple’s journey from their engagement through to their wedding day and beyond including lifestyle and travel. Wedding venues, bridal, fashion and styling inspiration. P Johnson are pleased to introduce their new collection. With 2019 marking the 10 year anniversary of the brand, P Johnson are celebrating the evolution of the company with beautifully constructed garments that are their most considered, luxurious and easy to wear. ﻿Patrick Johnson has designed this collection to be ‘trans-seasonal’, encompassing the brand’s clients all over the world at the one time. P Johnson boasts showroom locations in Sydney, Melbourne, New York and London to trunk show locations across Asia, Australia and the US. Alongside the brand’s signature soft suits and separates is elegant evening wear, relaxed leisurewear and an expanded range of ready-to-wear pieces. Staying true to the brand’s beginnings, the garments are designed with the aim of getting dressed being as effortless and enjoyable as possible. Tailoring has been crafted using the finest European and Japanese fabrics at Sartoria Carrara, P Johnson’s Tuscan atelier. Traditional weaving methods, precise technology and elements of beautiful handwork bring the pieces to life and lend them their unique character. 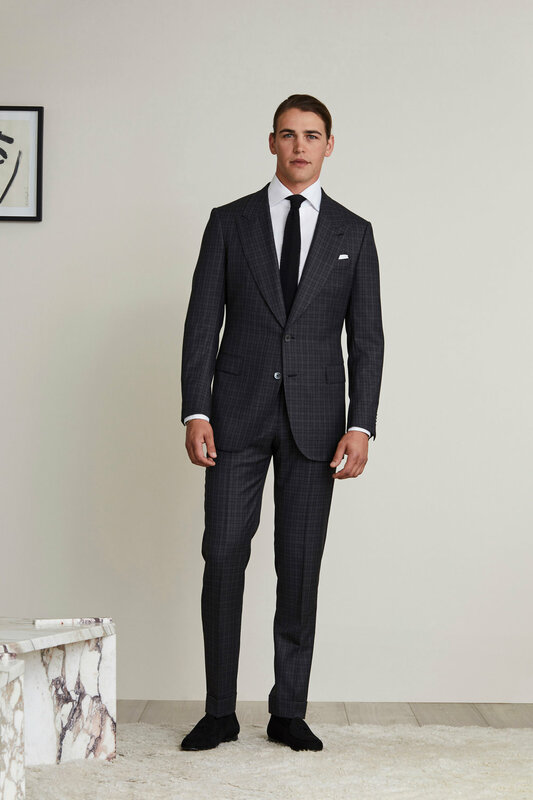 2019 also sees P Johnson launch Pronto, a new tailoring line developed for clients working with shorter timeframes. Through Pronto, P Johnson’s old world techniques developed at their Italian workshops have been injected into production with sophisticated new world practices, where garments can be made at a lower price point with uncompromised quality.